Roofing Tulsa – One of the most important pieces to your home is the roof. It keeps the rain out, while keeping the cool in. Whether you’re financing for a new roof on brand new construction or replacing it after many years of wear and tear, you want to make sure you’re getting the most durable and cost effective roofing system for your home. Not only does a roof give the home a beautiful touch, it needs to be durable during the different seasons. A new roof can be expensive, so how will you finance for the materials, installation and maintenance? There is one solution: financing with Roofscapes. Since there are many options out there for financing roofs such as loans and rebates, our Tulsa roofing company can be of assistance throughout the entire process. From mapping out the finances to the final install, our team is there for you. We offer consumer credit programs to accommodate with your finances. Our program creates the best option for you and your family while providing you with the roof that best fits your home protection and budget. Zero Interest/ NO monthly Payments – Same as cash! On top of our financing program, there are other ways to help get your new roof you desire. 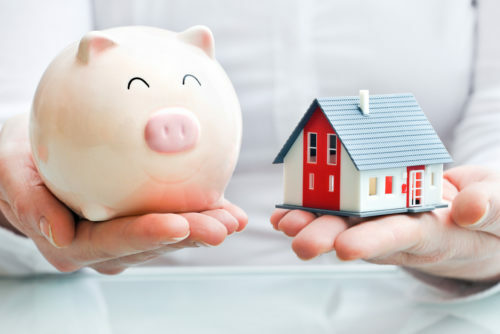 The government can give loans and rebates in order to make your home more livable and useful. If your property and credit are good, you could qualify for the home equity loan from FHA. Through the FHA (Federal Housing Administration) you’re capable of getting a new roof and other luxury items such as a pool or outdoor entertainment. Energy efficiency is becoming a number one priority in people’s homes when getting a new roof. There are a couple ways to receiving the energy efficient roof of your choice that will give tax credits and rebates towards your new roof since energy efficiency is an incentive of making your home better. Having a no-interest credit card is the best route to take when financing for your new roofing system. Using this credit card strictly for the financing of the roof will help keep track of the payments. With our consumer credit programs, financing your new roof should be very smooth and affordable! Connect with Roofscapes on Facebook, Twitter, and Pinterest to learn more about our roofing services and financing program for a new roofing system.